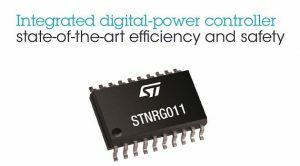 The STNRG011 digital-power controller from STMicroelectronics simplifies and accelerates development of 90-300W power supplies and adapters for computers, LED lighting, medical equipment, telecom, and industrial equipment, meeting today’s most stringent eco-design standards. 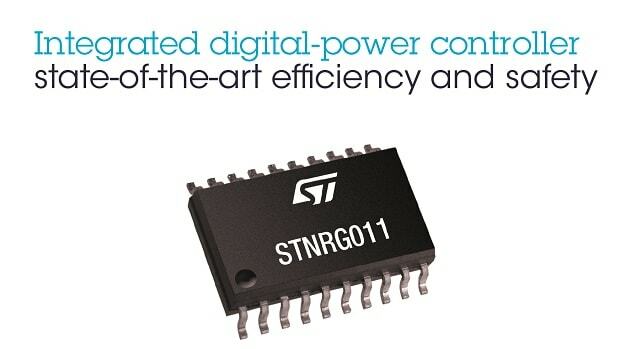 The STNRG011 combines a double-ended LLC resonant half-bridge controller and a multi-mode Power-Factor Correction (PFC) controller, managed by a digital core running best-in-class control algorithms. 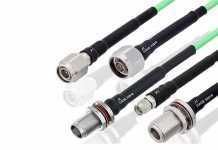 Integrated digital peripherals leveraging ST’s SMED (state machine event driven) technology and proprietary analog hardware accelerate control-loop performance for excellent dynamic response. 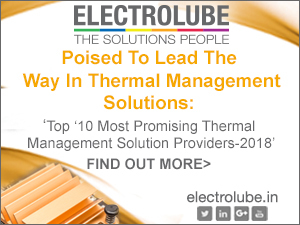 Non-volatile memory is also provided on-chip, for storing application-specific parameters. The STNRG011’s digital control and user programmability helps engineers optimize efficiency and performance throughout the load range and take advantage of burst-mode operation at light loads to maximize efficiency. A 2-pin UART/I2C port enables a host system to monitor and manage the power supply. 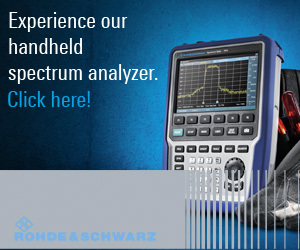 Additional integrated features include LLC and PFC gate drivers, high-voltage (800V) startup circuitry, and line sensing to further simplify design, increase reliability and ruggedness, and reduce solution size and BOM. There is also an X-capacitor discharge circuit that eases compliance with the new IEC 62368-1 safety standard for audio-visual and ICT equipment, which is taking over from 60950 and 60065 standards in the US and EU. The STNRG011 also integrates comprehensive protection for the LLC and PFC circuitry, including over-voltage, over-current, under-voltage, surge, feedback-disconnection, anti-capacitive protection, brown-out protection, and soft-start. The STNRG011 is in production now, packaged as a 20-pin small-outline device, and priced from $1.42 for orders of 1000 pieces. 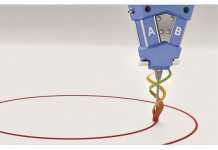 For further information please visit st.com.